This is as particularly well preserved specimen of the genus Yuknessia from the famous Wheeler Formation of Utah. Yuknessia from the Cambrian is now interpreted as an early deuterostome metazoan, a group that includes Chordates, Hemichordata, Echinodermata, Xenoturbellida and Vetulicolia, and is placed in Class Pterobranchia. Pterobranchs are extant today, generally as planktonic filter feeders living on the deep ocean floor. More recent research place Pterobranchs within the extinct Graptolite clade of Phylum Hemichordata. These animals were participants in the great metazoan radiation known as the Cambrian Explosion. 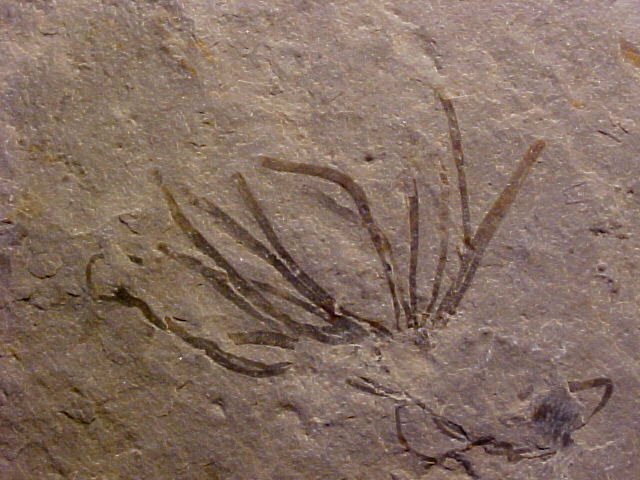 The genus is known from The Burgess Shale, Chengjiang and several Utah Lagerstätte fossil sites. 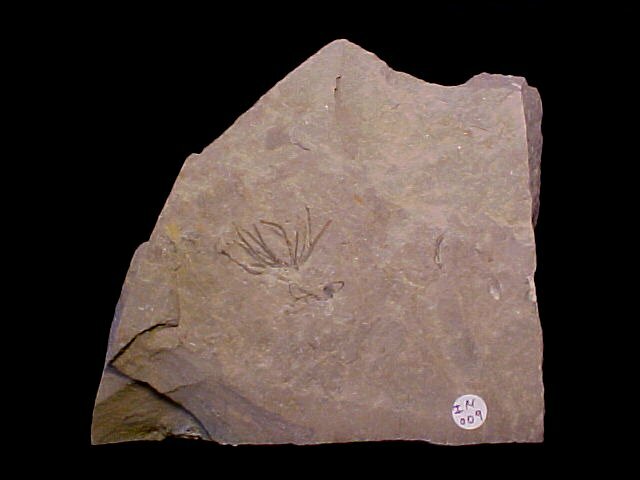 Fossils of Yuknessia were first described as multicellular, photosynthetic green algae (Chlorophytes), with two species from the Burgess Shale Yuknessia simplex and Yuknessia stephenensis. LoDuca, et al., transferred the genus in 2015 from Algae to Pterobranchia in Phylum Hemichordata. The Fossils of the Burgess Shale by D. E. Briggs, et al. Steven T. LoDuca, Jean-Bernard Caron, James D. Schiffbauer, Shuhai Xiao and Anthony Kramer (2015). "A reexamination of Yuknessia from the Cambrian of British Columbia and Utah". Journal of Paleontology 89 (1): 82–95. Sato, A; Rickards RB; Holland PWH (2008). "The origins of graptolites and other pterobranchs: a journey from 'Polyzoa'". Lethaia 41 (4): 303–316. Fortey, Richard A. (1998). Life: A Natural History of the First Four Billion Years of Life on Earth. New York: Alfred A. Knopf. p. 129. Mitchell, C. E.; Melchin, M. J.; Cameron, C. B.; Maletz, J. R. (2012). "Phylogenetic analysis reveals that Rhabdopleura is an extant graptolite". Lethaia 46: 34.